The UN’s cancer agency along with researchers from IARC have concluded that the ‘epidemic’ of thyroid cancer cases in richer countries is caused by over-diagnosis with CAT scans showing up minor issues that would probably never lead to full-blown cancers. Never-the-less treatment invariably involves surgery and leaves patients requiring hormone therapy for life and often in pain. 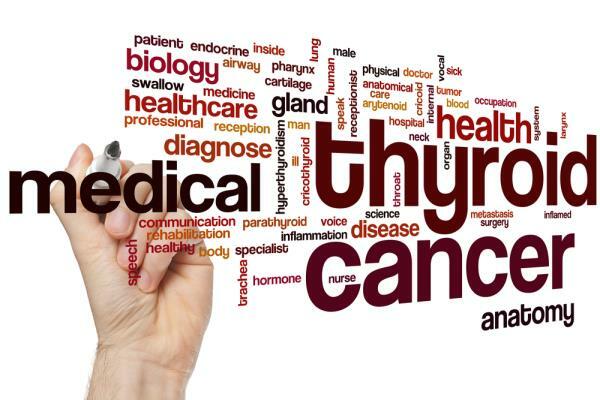 CANCERactive founder and former Oxford University Biochemist Chris Woollams commented, "Causes of Thyroid cancer may occasionally be genetic, but are more likely due to radiation and radioactive Fallout. Chernobyl sent several fallout fingers over Europe. One finger went down through Lyon in France, and another headed down through Scotland to Wales. We have several people from those regions contact CANCERactive about Thyroid cancer diagnoses a decade or more later.If you have someone in the family with thyroid problems, your risk of such problems increases, but this is hardly cancer!"